Hyderabad City Police Home Guards Recruitment 2014- 150 Posts Apply @ www.hyderabadpolice.gov.in: So Many Unemployed job seekers in Telangana State after the separation of the state shall hungrily awaiting for the Latest govt jobs in Telangana State. This is the time for them. Few hours back Hyderabad City Police Department issued Hyderabad City Police Home Guards recruitment 2014 notification for fulfilling 150 Home Guard jobs in Hyderabad City police. Job seekers must be a citizen of India and must be a local of Hyderabad City Police Unit area. Applicants who have passed 7th Standard and above qualification as on the date of Notification shall be permitted to apply for Home Guard job in Hyderabad City Police. Applicants who also Possess LMV / HMV Driving License issued by the govt shall be desirable to apply for Hyderabad City Police Home Guards recruitment 2014. Applicants who crossed 18 years of age and below 50 years on 29-10-2014 shall be allowed to apply for Hyderabad Home Guards recruitment 2014. 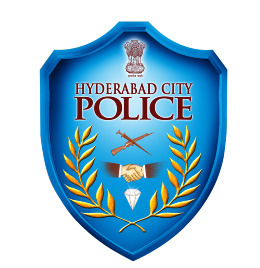 Applicants who intended to apply for Hyderabad City Police Home Guard jobs shall pay the fee and download the application format from the below provided link and complete it accordingly and submit the application at the below given address. Further more details regarding Hyderabad City Police Home Guards notification 2014 is mentioned below. Aspirants who passed out 7th Standard or Higher qualification and having LMV / HMV License issued by the govt shall be allowed to apply for the above posts. Applicants whose age between 18-50 years as on 29-10-2014 shall be eligible to apply. Applicants must pay Application fee of Rs 25/- at the time of Submission of application. Applicants who intended to apply shall download the application form from the below specified link and complete the application accordingly and submit it at Goshamahal Stadium, Hyderabad Between 10.00 am to 2.00 pm.